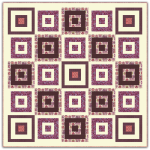 Jibe was debuted in the Craft of Quilting catalog, you may have seen it there. Now you can get it here. This is a log cabin variation with a modern feel. 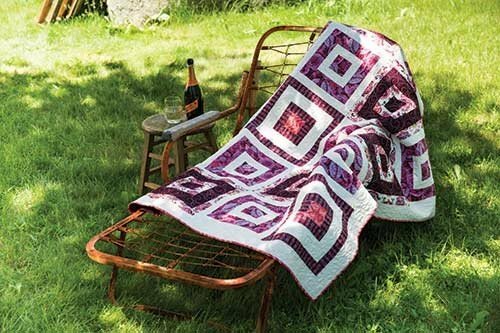 The fabric featured in the quilt are Bright Heart by Amy Butler for Free Spirit. The quilt finished 72" x 72". The pattern is available as a hard copy which I will ship to you or as a digital pattern that you can print immediately!